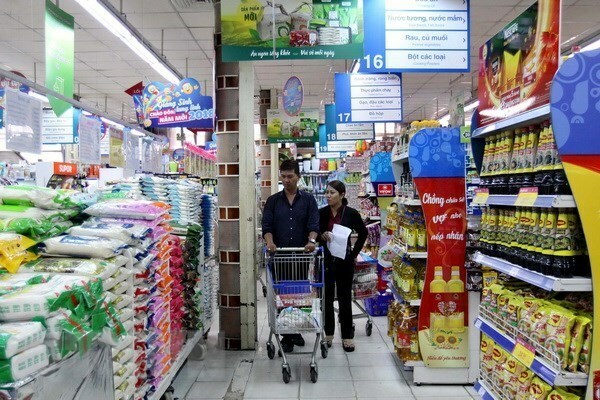 Hanoi (VNA) – The total goods retail sales and consumer service revenue surpassed 1.18 quadrillion VND (over 50.8 billion USD) in the first quarter of 2019, up 12 percent year on year, according to the Ministry of Industry and Trade (MoIT). That figure included 392.2 trillion VND in March, up 0.9 percent from the previous month and 12.1 percent from the same period last year. The MoIT said the sustained growth in the retail sales and consumer service revenue was supported by the sufficient supply of goods although the global economic growth tended to slow down in the first months of the year. The domestic market has been kept stable with abundant goods supply and stable prices. During the period, it was mainly fuelled by the surged demand in preparation for the Lunar New Year holiday which fell in early February. The MoIT’s Domestic Markets Department hasn’t seen any factors that may have negative impact on the domestic goods market in the time ahead. It forecast this year’s total retail sales and consumer service revenue will still grow by the targeted rate of about 12 percent from 2018. Deputy Minister Cao Quoc Hung said to remove production and business bottlenecks and promote economic growth, the MoIT will press ahead with solutions to create development breakthroughs in the domestic market and foster export, especially the shipment of agricultural products. The ministry will perfect legal regulations and policies on trading infrastructure, and attract more domestic and foreign investment to developing wholesale markets.